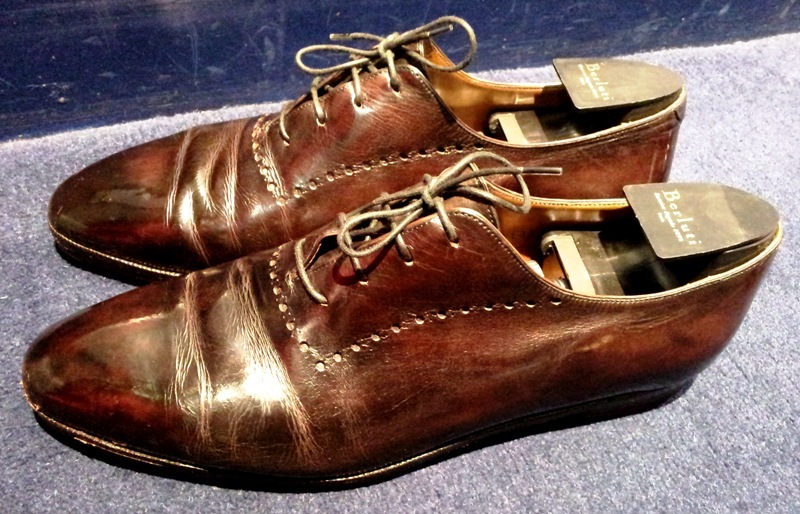 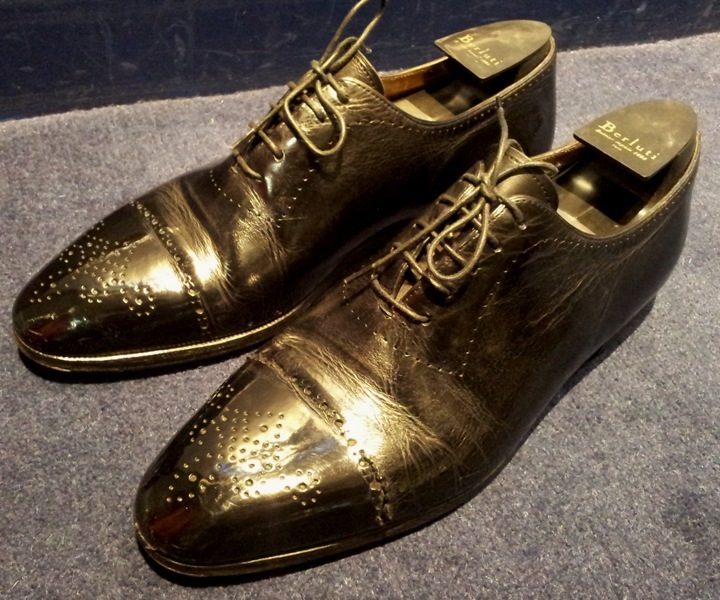 I never seem to tire of old Berluti shoes. 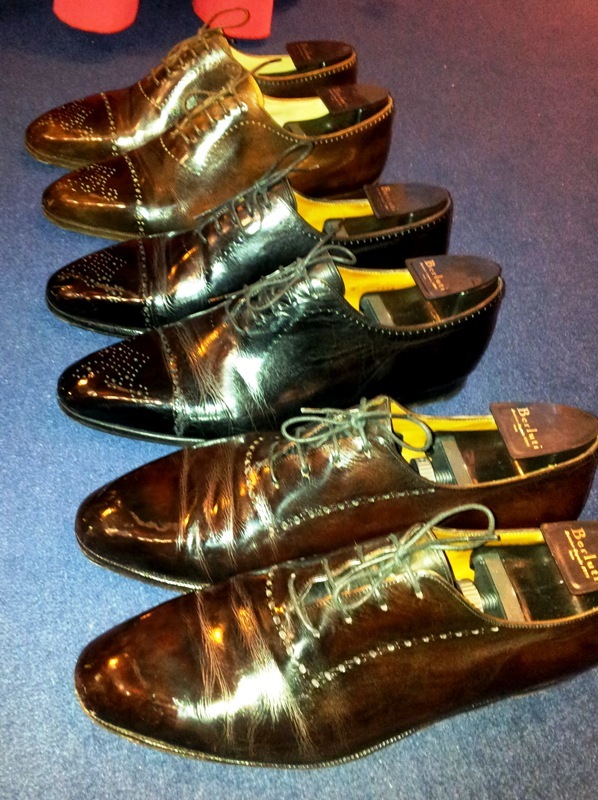 Every time I have to shine them, even though they are not my favorite shoe, I seem to enjoy them more than anything else. 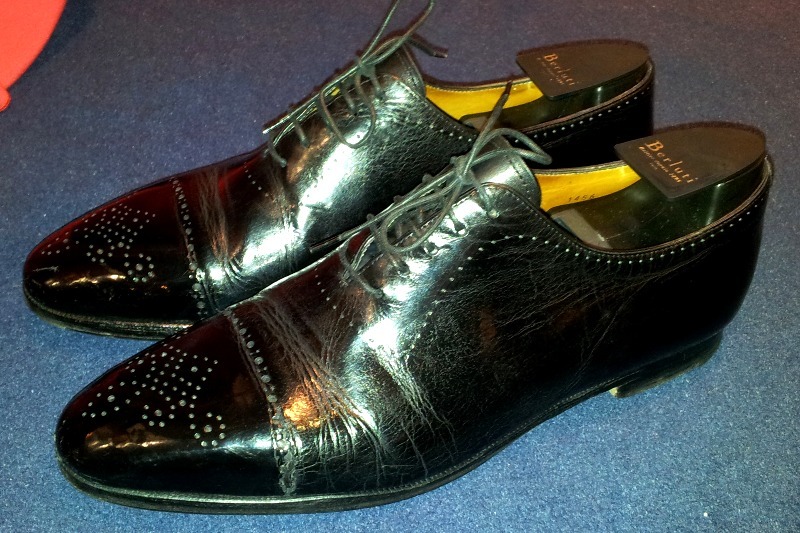 Partly because the leather shines so easily and therefore makes my job a lot more pleasurable, but mainly because of the fact that even when they come to me all beat up and knackered beyond belief, after a bit of polish and elbow grease, they become like pieces of antiquity art. 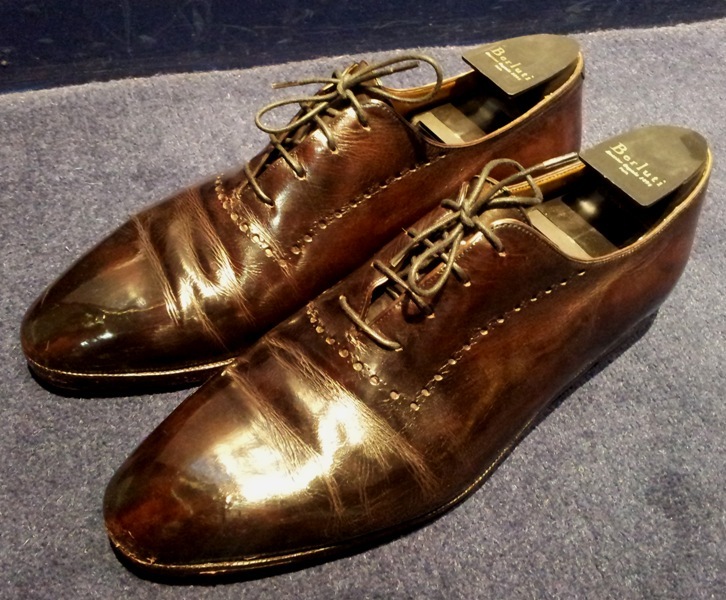 And while I am sure they look stunning when a customer just purchases them, I can’t help but feel that their true beauty lies within a few years of them aging. 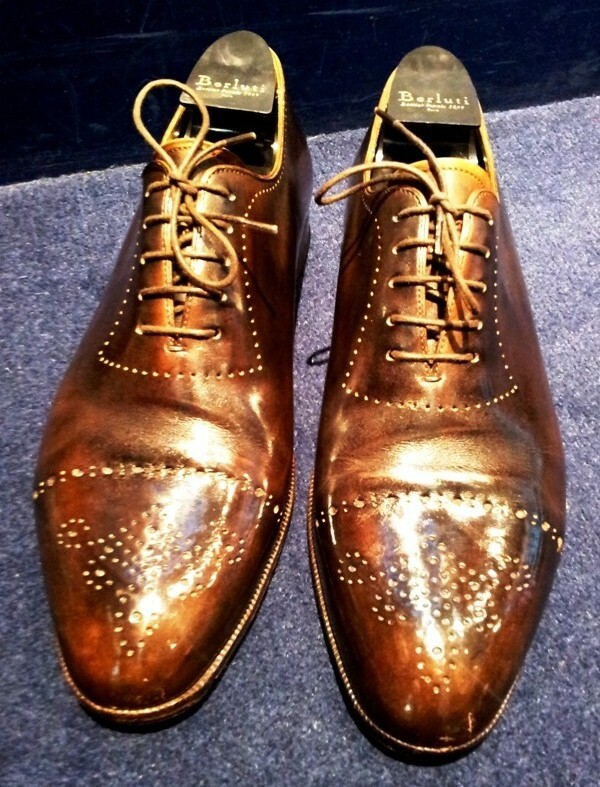 The patina seems to become much more intricate and can even be intensified or taken down a notch with a bit of polish. 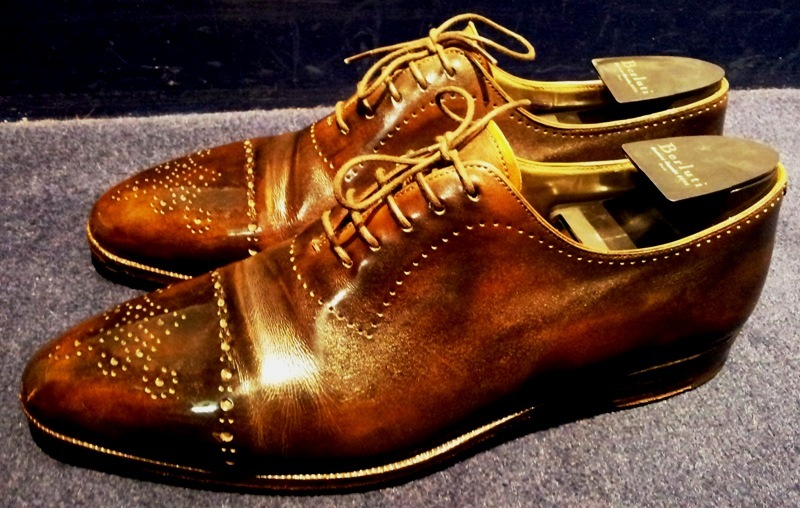 Being the glutton that I am for unique coloring, I always do my best to bring out the undertones in the leather……which only makes beautiful shoes like this, look even better!